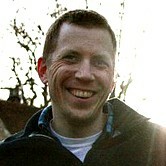 Steve joined the Office of the Chaplain at Penn in the fall of 2008 with ten years of experience in church ministry. Through his years of church work he has provided leadership for Sunday worship services, concerts, conferences and other special events, as well as a wide variety of community service projects and education programs. Steve was born in England and is unreasonably passionate about English cricket and soccer. He moved to Philly as a kid and is thrilled to be working and living here with his wife, sons and daughter. In addition to supporting the programs and work of the Office of the Chaplain, Steve also serves as Coordinator of the CHORDS network – a partnership connecting Penn with its neighbors, emphasizing work with local faith communities, schools and other neighborhood organizations – and co-instructor for iBelieve, Penn’s first academic interfaith dialogue and action course.